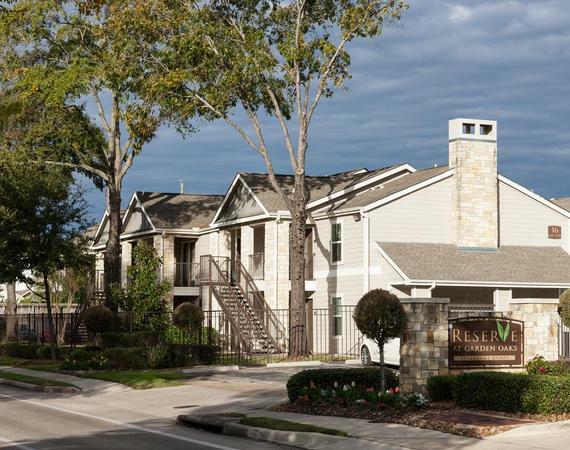 Reserve at Garden Oaks is located in Historic Garden Oaks just north of Houston Heights. The property is a fantastic gem near some of the best spots in Houston. The food, music and art scenes are brimming with activity. Unique restaurants and late-night music venues can be found within minutes of this community. If you get the opportunity, discover White Oak Bayou Trail, a serene stretch of nature that’s great for birdwatching. Make a pit stop with your furry friends at T.C Jester Park and hang out in the dog park. After you work up an appetite, head over to Petrol Station and chow down on a delicious artisan burger or a plate of Scotch eggs. Shepherd Park Draught House is the place to go on a Friday night. This gastropub serves up succulent Korean short rib tacos, Thai curry chicken over rice and a large menu of tasty beverages. One of the coolest music venues to arrive in Houston Heights is Dan Electro’s Guitar Bar, a music club that features local bands. The biggest and best shopping mall in all of Houston is The Galleria, a massive center with high fashion boutiques, a full skating rink and an extra-large food court. On your way back home, stop by Kroger for fresh produce and snacks. Get involved in Houston, Texas’s vibrant art and food scene when you rent an apartment at Reserve at Garden Oaks.